As part of our 4th Wedding Anniversary hanging out (yes, you wouldn't believe how much we miss just hanging out like normal couples do), we had lunch at Taste Paradise at Ion Orchard. We had our first meal at the Taste Paradise's Mosque Street branch a few years ago. I remember being impressed then with the degustation dinner we had, with each course presented in creative crockery, and always had it filed in my head as one place to return to. When a Taste Paradise opened at the more accessible Ion Orchard, we called to make a reservation once. Unfortunately we were told that they did not have baby highchairs. We promptly then gave the place a miss, and never considered going back since. From what we observed over lunch, they do have highchairs now, and will be happy to go back with Bubbles! 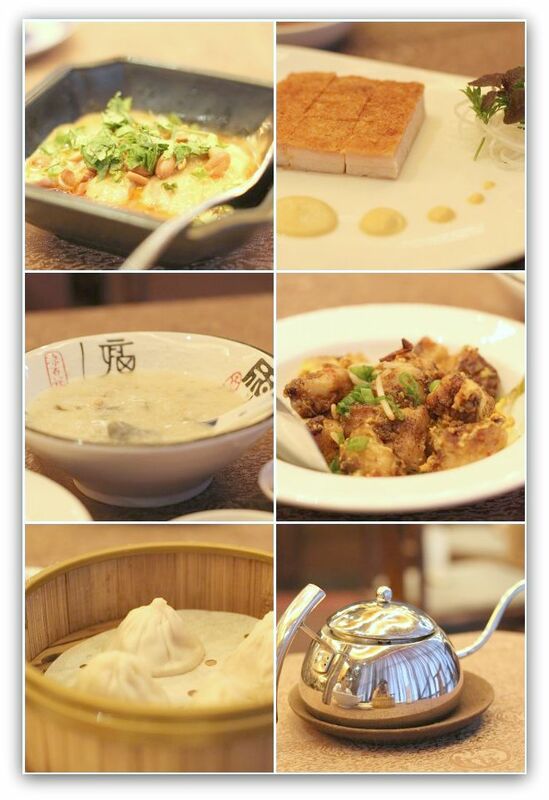 Our dimsum lunch was lovely. Every dish was done beautifully. I was especially impressed with the Century Egg Congee. The broth the rice was cooked in was very richly flavourful, unlike in many other restaurants where there is a certain blandness apart from the century eggs. It was a pleasant lunch date! I can't help but recall our very first dinner date as parents. I remember all the emotions that made up that evening, but strangely have no memory about where we went for dinner!